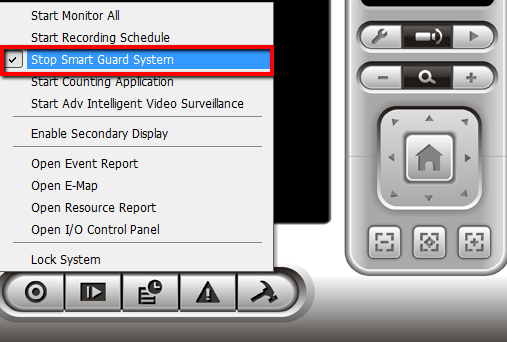 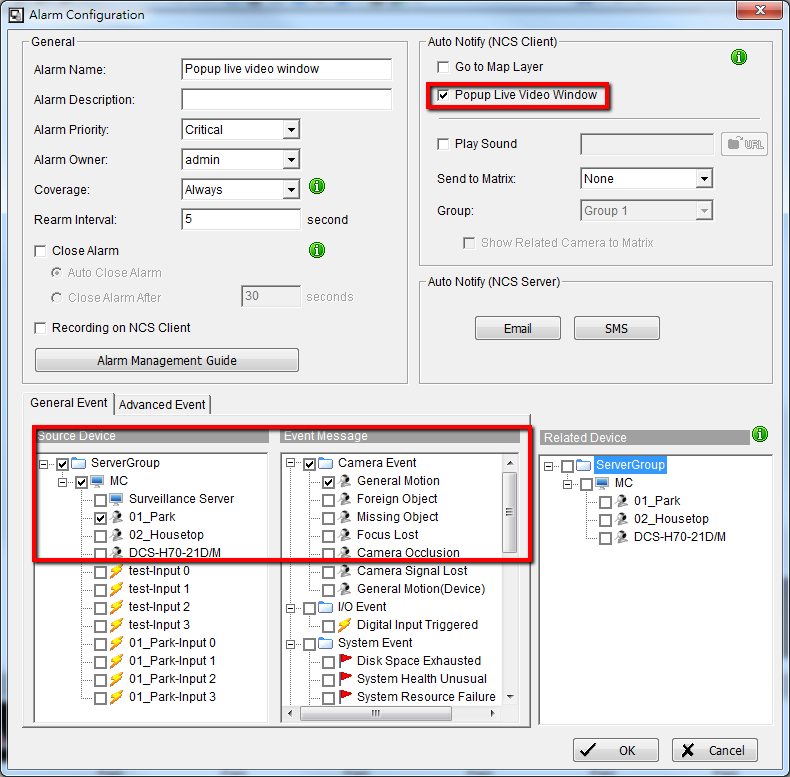 In mainconsole part, please set up “Send to Central Server” action in smart guard configuration. 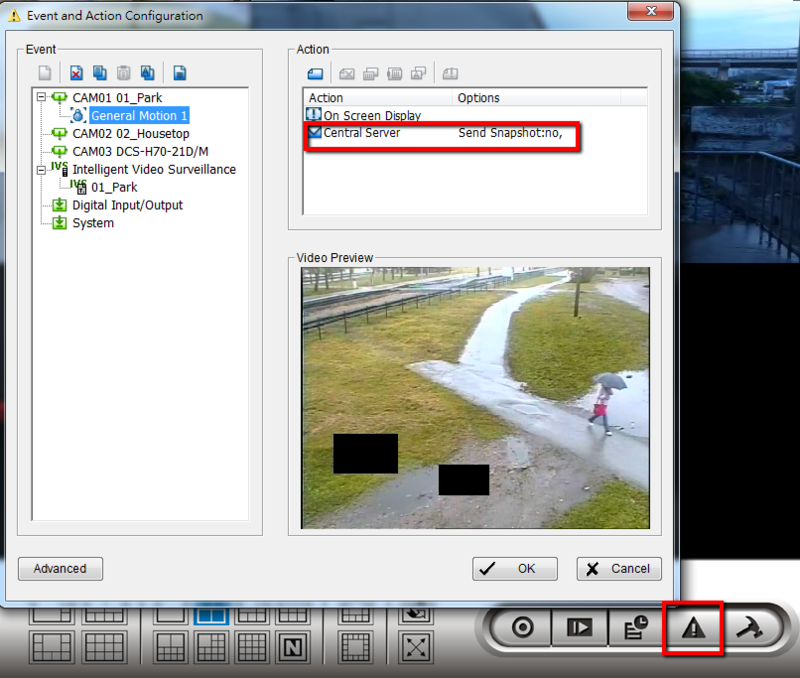 After setup action, please enable live streaming and central management network service and also smart guard system. 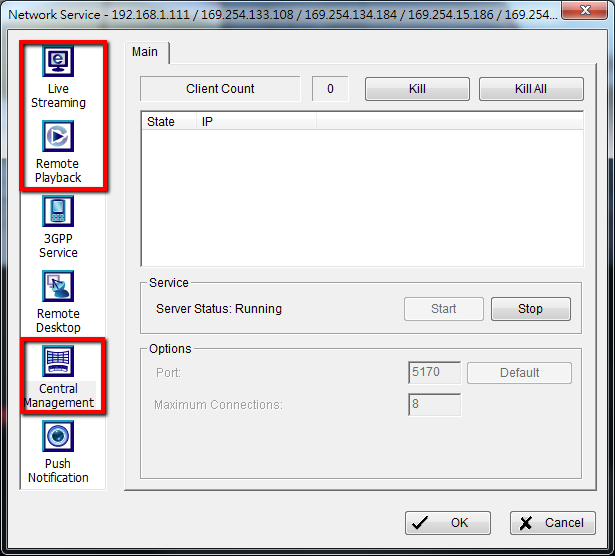 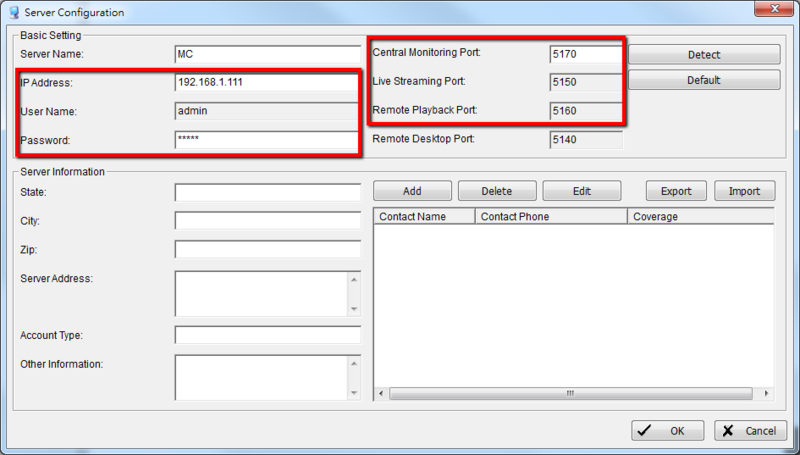 Switch to CMS part; make sure server configuration has been set well, including IP address, account/password and ports. 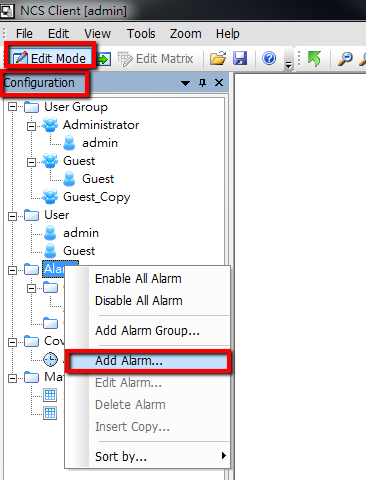 Then enable “edit mode”, right click alarm and select “add action” under configuration toolbar. 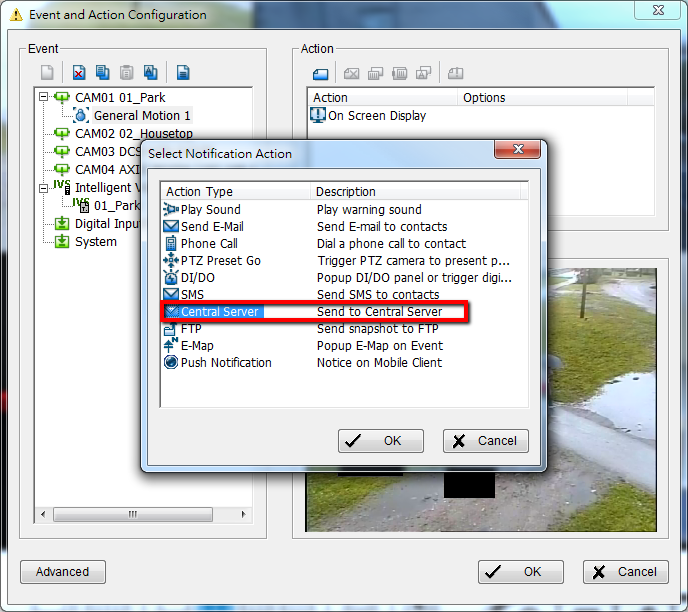 Input data in general fields, check “popup live video window”, source device and event message in alarm configuration. 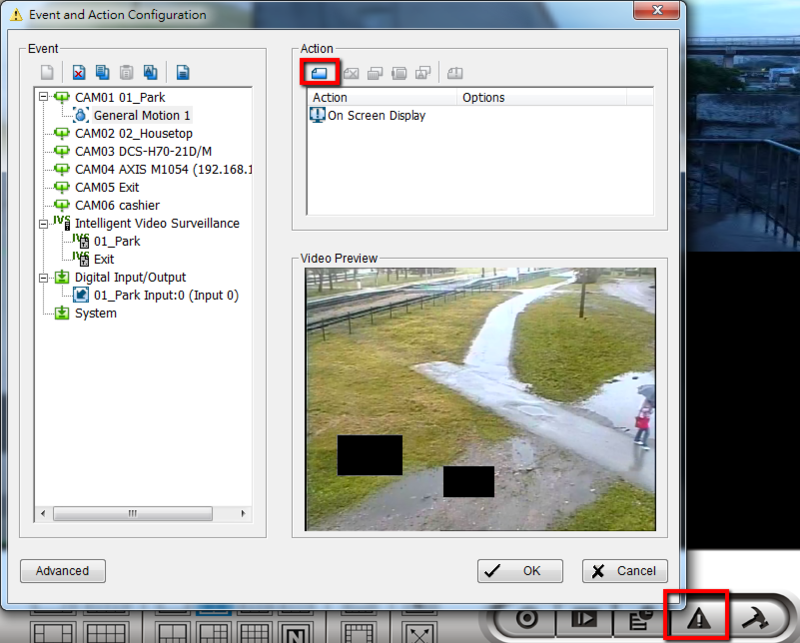 After setup all steps and exit from “edit mode”, you can see there will be live video window popped up when event triggers as you set.